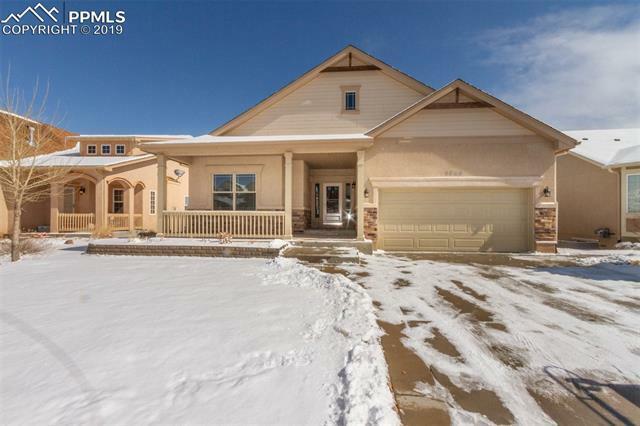 Main level living ranch floor plan w/ tandem 3-car garage which backs to the golf course. 4 bedrooms plus an office, and 3 baths, with 3, 498 total square feet. New carpet, new interior paint, and stucco exterior. The kitchen features solid surface counters and plenty of cabinets, which joins to formal dining room. Great room concept w/ fireplace! Main walks out to deck. Basement walks out to concrete patio. High efficiency furnace and water heater. Hot and cold water in garage and set up for garage heater.